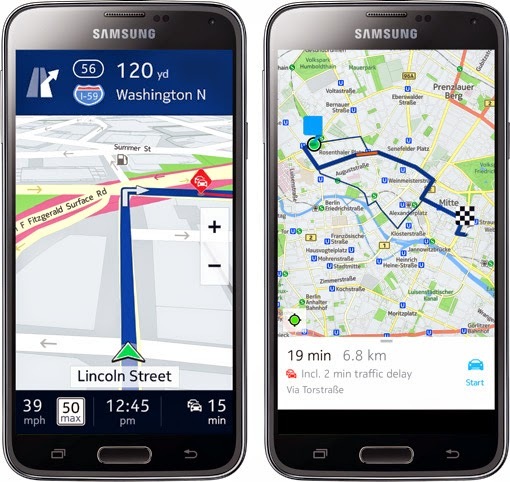 Samsung is definitely on the roll at least to me, after announcing the Gear S, which is probably the first smartwatch that i could really consider buying and today they are announcing a partnership with Nokia to bring the HERE maps to their Galaxy line by October. 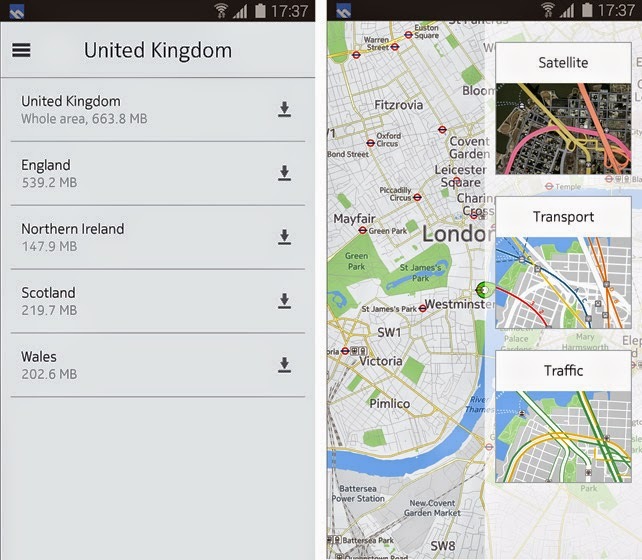 The HERE maps has be one of the best mapping solution out here and in so ways better than the Google Map considering that it offers offline maps, massive collection of POIs, drive and walk navigation and public transit guidance. The HERE maps also offers live traffic and public transit information.